I am not sure if this is a correct word in English. But I am not worried about that as long as I am able to express what I feel. There are some days when you are alone and feel that you are in a state of flux. It is a feeling of emptiness and you think as if there is no meaning in life. You also feel that there is neither a beginning nor an end to anything you do in life. Is this a feeling some of us feel some time or the other in our life. What do we do when this happens ? The first good news is that we are not alone. Many of us go through this in our life time. Not once but may be many times. There is nothing to feel sad or disappointed. It is like while undertaking a long road trip, you sometimes end up on a road, which is a dead end. Neither your map works nor anything else. Over and above there may be no sign of life anywhere around you. The mobile network may not work too and then you wonder what to do. If we end up in such a situation, what do we do ? We do not abandon the car at that point and wonder what to do. We reflect and contemplate. Sometimes, we may retract our route and drive from where we came till we find a turn or a person to guide us. Life is no different. We have to pause and take a break some times. It will look as if there is emptiness and we are in a state of vacuum. It is ok to feel this way. Just take a deep breath and may be a break and you may be able to restart life all over again. I am reminded of the problems most of us face while using computers. When the screen hangs and no key makes any impact, what do we do. We either switch off and on the computer or press “Control+Alt+del”. It is the same thing we have to do in our lives. When we reach a dead end, we have to take a break. We have to reboot ourselves and start all over again. There is nothing right or wrong about such instances. Interestingly many of us face such situations more often than not today in our lives. This may happen in our career too. We may feel we have reached a dead end and there may appear no light at the end of the tunnel. There is no need to panic. We need to introspect. Are we equipped to deal with changing directions in our career.? Are we skilled to deal with the changing business environment? Are we the best in whatever we do so that nobody can bypass us ? If the the answer is yes to one or all of the above, we know what do do. In case, we are still groping to find the answer, it may still never be too late. If we cannot find the answer ourselves, we can ask our colleagues, seniors, family, friends or well wishers. After all in life, we may have all the questions and it is human not to have all the answers. If we did, we may not believe in that spiritual power, whom we may call God or by ﻿any other name. 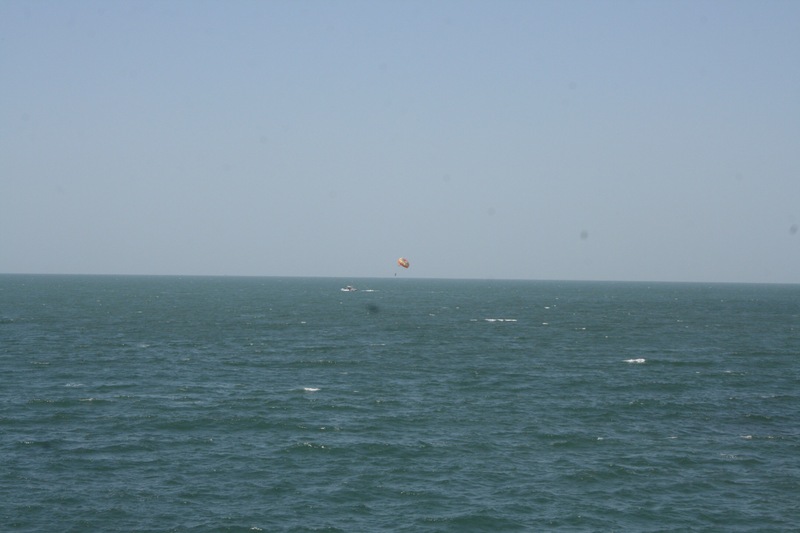 Like in the photo above, if you are in a hot air balloon with a boat in the midst of the sea and do not know which side to row, what do you do ? I am a born optimist. I believe every question has to have an answer. If we do not the know the same, it does not mean the answer does not exist. We need to have the humility first to accept that we do not know the answer to our question in life and then the courage to ask the right person to help us. Life is complex but the way to deal with it is simple. When in doubt, ask ? Well. You have managed to express it well, even though not sure of apt word you chose. VOID is another word you can use to express this situation. In fact, it is used in movie “You got email”. Context was little different, but situation was quite similar. After her Little Bookstore was to be closed due to arrival of a big book chain store on opposite of Road, she was completely clueless about her next step. As, from childhood, she was grown up believing that this book store / customers / small profits etc is going to last till eternity. Little did she know that External events does change our internal lives & we need to accept that change & plan accordingly 🙂 Like the movie, this article was good read. Short but Effective.